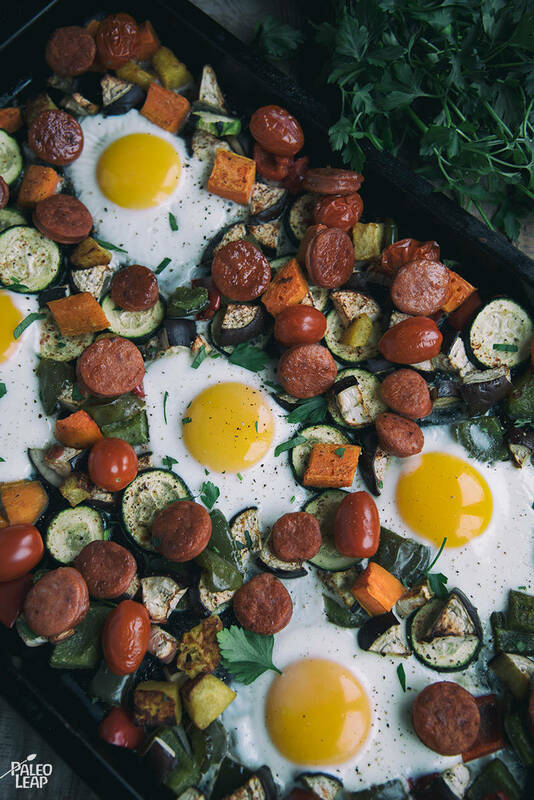 Not everyone needs a hearty breakfast to start their day, but if you do, or if you’re looking for a healthy option to bring to your next breakfast pot-luck, this casserole works as a fantastic option. We especially love this casserole due to the ease of cooking – while the ingredients list here might seem a little intimidating, the preparation for this is as simple as combining and cooking. This dish will take some time to bake, so plan on waking up a bit earlier to get things started – or, save yourself some time by prepping your veggie ingredients with a food processor the night before and keeping covered in the refrigerator until you’re ready for baking. One of the best attributes of this dish is its versatility – although the ingredients here reflect what we think are some of the tastiest parts of a breakfast casserole, you are free to adjust as needed! Some great variations on this include: omitting the sausage for a vegetarian-friendly dish; adding chili peppers and serving topped with avocado slices; or, using shredded veggies versus diced (and adjusting bake time down a bit) for a neat texture change. This one-dish casserole is wonderful as a standalone main course for any meal of the day. However, if you are looking for additional dishes to serve alongside this, especially if you are planning a fancier brunch, consider adding a serving of these hazelnut pancakes and whipping up a bowl of this yummy fruit salad for an altogether impressive meal. In a bowl, combine the potatoes, zucchini, bell pepper, garlic, chili powder, cumin, paprika, and olive oil; season with salt and pepper to taste. Make a hole for each egg in the middle of the vegetables, add some cooking fat, and crack an egg into each. Add the sausages and cherry tomatoes to the pan around the eggs. Place back in the oven and cook another 6 to 8 minutes or until eggs are cooked to desired doneness. Adjust seasoning and serve topped with fresh parsley.